New Delhi, April 12: The Bharatiya Janata Party (BJP) on Friday moved the Supreme Court against Congress president Rahul Gandhi for using 'chowkidar chor hai' phrase against Prime Minister Narendra Modi over the Rafale deal. The plea has been filed by BJP MP Meenakshi Lekhi. A bench headed by Chief Justice of India (CJI) Ranjan Gogoi will hear the petition on April 15. 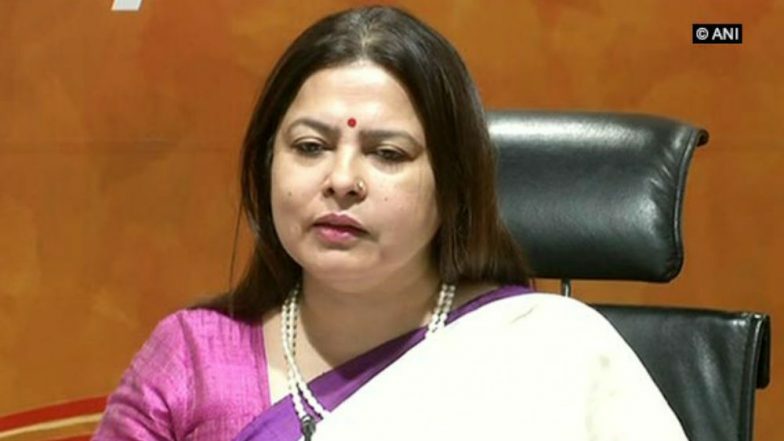 In the plea, Lekhi said that Gandhi misquoted apex court’s December 14 ruling on the deal. The BJP MP has also sought contempt action against the Congress president. Senior advocate Mukul Rohatgi, representing Lekhi in the top court said that Gandhi made a remark saying, "Supreme Court has said, chowkidaar chor hai" in the verdict. Rafale Deal: 'CAG Report on Pricing Not Shared With PAC', Rahul Gandhi Questions 'Foundation' of Supreme Court Judgment. Last year on December 14, the top court had dismissed all petitions seeking a probe into the pricing of multi-million dollar Rafale fighter jets deal. A bench, headed by Chief Justice of India (CJI) Ranjan Gogoi, said there was "nothing questionable" in the decision-making process for the Rafale deal. Meanwhile, on April 10, the top court dismissed an objection plea filed by the Centre in Rafale case. A bench of CJI Gogoi, Justice Sanjay Kishan Kaul and Justice KM Joseph refused to accept the government’s ‘stolen document’ plea. The top court accepted the new documents to be included in the review petition filed against its December 14 verdict. In March this year, Attorney General K K Venugopal in the apex court had said that the Rafale deal documents were stolen from the government and those publishing them were guilty under the Official Secrets Act.